"The world is less peaceful today than at any time in the last decade". 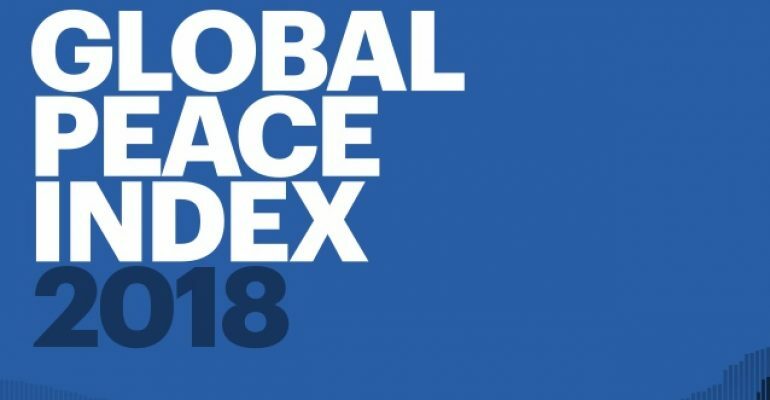 This is the headline of the Global Peace Index 2018 Edition which has been released last week. Tensions, conflicts, and crises remain unresolved leading to a fall in peacefulness. This is a call for action. The Global Peace Index from the Institute for Economics and Peace has been released last week. As time passes, peace doesn’t necessarily go forward. As a matter of fact the global level of peace has deteriorated over the last year like the three years before. These findings reaffirm that actions for peace are needed, now more than ever. Actions for peace should also be rewarded and encouraged. One of the key findings of this study is that peace is strongly linked to (economic) development. In fragile states which are the most likely to witness conflicts on their soil, which better actor than the local government is there to foster (local) economic development, dialogue and peace building? To break the vicious cycle of economic deterioration, fragility and conflicts the local government seems to be at the forefront as it is the level of government closest to citizens as well as the level of action that is the most likely to achieve the most quick wins to initiate a virtuous cycle of economic and peaceful development. Encouraging local governments in their efforts for peace as well as shedding light on those efforts is crucial. The UCLG Peace Prize has made this its core mission: Promoting local efforts in conflict prevention, peace building and post conflict reconstruction.